The Parliament of Great Britain has expressed confidence in the government of Prime Minister Theresa May. And there were even thoughts that it was necessary to extend the time limit for England’s withdrawal from the EU or even to listen to other proposals by May. On January 21, the cabinet will present a plan for resolving the situation around the agreement. 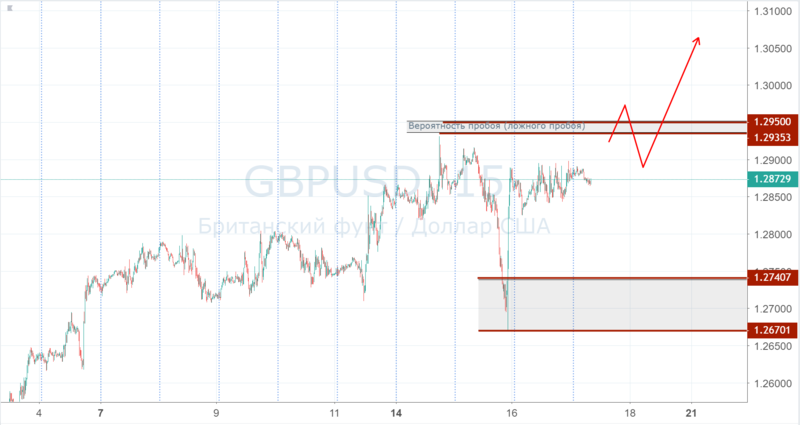 And it is quite possible that until this date, there will be no special movements on GBPUSD. However, it is worth highlighting a small price range of 1.2935-1.2950. The fact is that according to a number of forex brokers, in this range, applications for market purchases exceed the number of counter orders of sellers. In other words, there is a surplus of buyers, which may be those market participants who are currently on sale and have hidden their stop-loss, and in fact a market bid to buy for a maximum of 14 January. This does not mean that the price will strictly go to these levels. This suggests that when this maximum is updated, a large number of market buy orders will be thrown out into the market, and we will get an impulse movement. We assume that if the momentum takes place, then this is a sign of the strength of the buyers and, accordingly, we can expect continued growth after the corrective decline. Otherwise, such price breakthrough could be considered as false. Nevertheless, you should take into account the news background. For growth it must be positive. 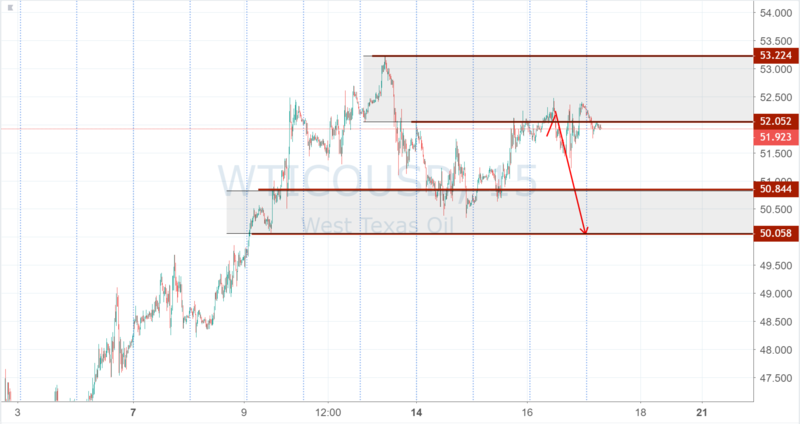 The price of oil stopped and gained the maximum volume in the range of 53.22-50.05. This volume can be turning point, and we can start moving down. But so far there are no special prerequisites for this. While you can work in the flat, buying from the support of 50.85-50.05 and selling from the resistance of 53.20-52.05. And until the price is below 50.05, it is not necessary to consider sales seriously. Nevertheless, the best scenario for us is the breakdown of resistance and continued growth after correction, since this scenario is a continuation of the trend.